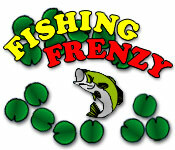 Cast your line into the water and see what bites in Fishing Frenzy! 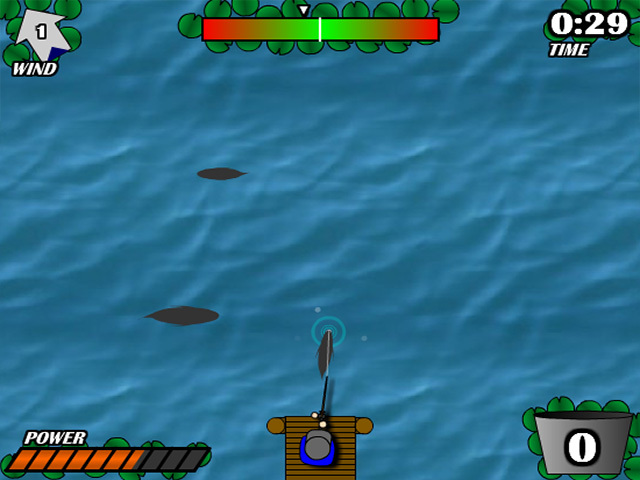 Click and hold to power your rod, then release to cast.Cast your line and land the big one.Cast your line into the waters and see what bites in Fishing Frenzy! Click and hold your mouse button to build up power. Release the button to cast your line. Once a fish bites, click to set the line. Then, reel the fish in. 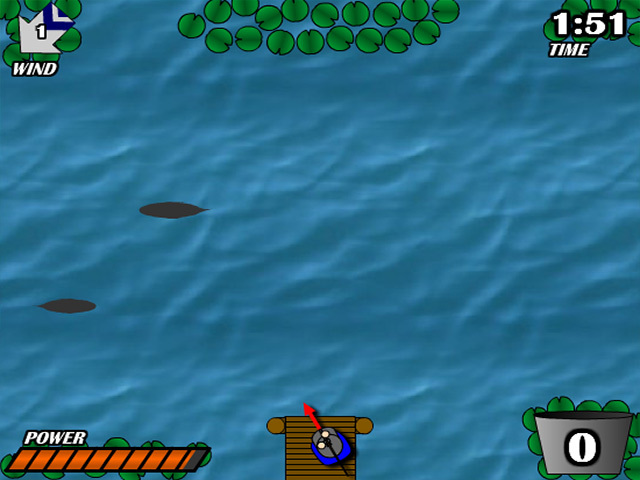 You have 2 minutes to catch as many fish as you can. 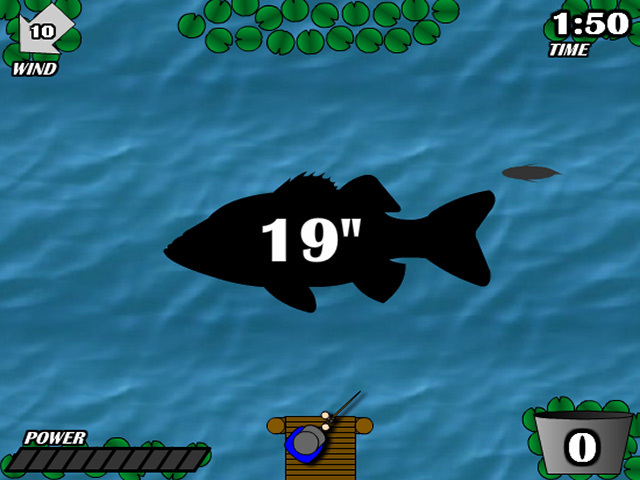 Your score is based on the total length of all the fish you catch, so aim for the big ones when you play Fishing Frenzy online.